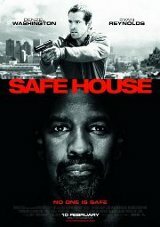 A renegade CIA operative decides to come in from the cold after ten years on the run, and holes up in a safe house in Cape Town. The house is attacked, and he goes back on the run, this time with the rookie house sitter. Together, they need to figure out who is trying to kill them and why, before they end up dead.